With cult-favorite hair care brand black 15in1, miracles really do happen. This weekend Detroiters can experience a miracle first hand when Beauty Buzz 2012 comes to MotorCity Casino Hotel. 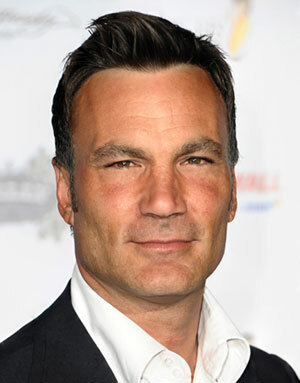 A premier charity event benefitting the American Cancer Society, Beauty Buzz 2012 will feature celebrity hairstylist, TV personality, and black 15in1 brand ambassador Jonathan Antin. Hour caught up with Antin to get the dish on black 15in1’s Miracle hair care system, transforming hair from Bride of Frakenstein to Hollywood chic, and fall’s hottest hair trends. As a top hair stylist, you have access to all the best hair care products. What makes black 15in1 stand apart from other product lines? As a hair stylist, I’ve always had unlimited access to all hair products on the market. What sets black 15in1 apart is that it combines all of these other products into one miracle hair care system. It truly is hair care simplified. How does the black 15in1 hair care system work? What are the benefits to using the products? The great thing about black 15in1 is that it’s a simple, three step process. It’s incredibly user-friendly and has 15 clinically proven benefits, including adding shine, detangling, moisturizing, body-enhancing, heat and color protecting, soothing dry scalp and combatting humidity, among others. 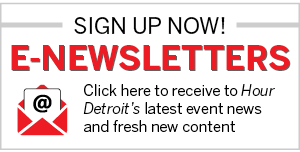 Beauty Buzz 2012 sounds like a wonderful event – what can guests look forward to at the Detroit event? I’m putting on a hair magic show! I want to show people how in just 10 seconds, live, in front of their eyes, you can go from totally disheveled, frizzy hair to beautifully tailored, perfect hair. At the end of the day, you can’t make damaged hair look great in 10 seconds — but you can make a healthy head of hair look great instantaneously. I’m demonstrating on healthy hair — as a result of using black 15in1 — then messing it up, making the models look like the Bride of Frankenstein, and then transforming their look in just 10 seconds to look like a glamorous Hollywood starlet. What are some of the hottest hair trends for the fall season? In color trends, I think ombre is on its way out, and solid, beautiful, shiny brunette and pastel blondes are coming back. For haircuts, we’re going to see a lot of collar bone or shoulder-length cuts and long-layered, almost one-length classic styles. Think Jackie O — really classic, clean and simple. Your eponymous salon is opening next year — could you tell us anything about what the Jonathan Antin salon experience will be like? My new namesake salon will open by the first of the year in Beverly Hills. The rest of it, including the name, is a surprise! Beauty Buzz 2012 is from 4-6 p.m. this Sunday, October 7, at MotorCity Casino Hotel, Detroit. To learn more about the event and purchase tickets, visit http://www.ticketmaster.com/Beauty-Buzz-tickets/artist/1753520.